Experience a professional photo editor designed by the passionate photo enthusiasts who use it. 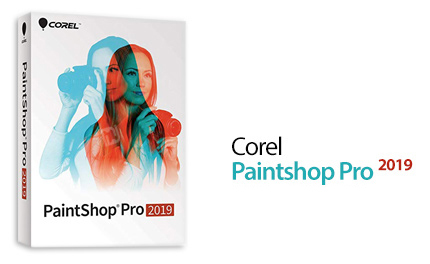 PaintShop Pro 2019 is your affordable, user-centric alternative to Photoshop—with every new feature inspired by user ideas. Make compelling compositions and impactful design projects using a complete set of professional image editing tools. This latest version delivers a faster, more robust PaintShop Pro, that’s easier to use and more creative than ever. Build something great, faster than ever with new project templates. Quickly make photo collages, personalized greetings, brochures and more. Save your own layouts as templates to speed up future design and photo projects. Capture, edit and annotate screenshots in one place with the full editing power of PaintShop Pro—no need for multiple applications! New Smart Capture mode lets you quickly grab an image from your screen just by hovering over the area you want to capture. Save time by adjusting gradients directly on an image, shape or canvas. Simply drag and drop color swatches and move nodes on the Gradient Fill tool to alter gradients to your liking. Get the creative looks you love faster and discover fun new text effects. These free and premium presets are added to PaintShop Pro dynamically, giving you fresh, new text options, updated regularly over the Web. Quickly apply the text styles you want with a simplified text toolbar. Choose colors faster and customize your text toolbar to show the items you use frequently and hide the ones you don’t. 10 of PaintShop Pro’s most used photo adjustments—like Smart Photo Fix, White Balance and Fill Light/Clarity—now offer real-time performance, letting you see your edits instantly for a quick and responsive editing experience. Save time and increase productivity by combining Smart Photo Fix and batch processing to apply adjustments to multiple photos at once. Or use it to quickly apply batch actions, like watermarking or resizing an image. Automate and speed up repetitive and complex photo-editing tasks with scripts. Silent scripts let you apply scripts even faster. Find useful scripts in the Welcome Guide or download the free Scripting Guide to create your own. Get to know PaintShop Pro X9 and be successful sooner with our new Guided Tour. This step-by-step virtual tour will help you confidently find your way around the interface and help you master new features in no time! Whether you’re a brainy trainer or a steely-eyed detective, the new Export Edit History feature lets you quickly document and share your edits. Accurately record all edits made to an image, then use in legal documentation, to build step-by-step tutorials, or to share techniques. 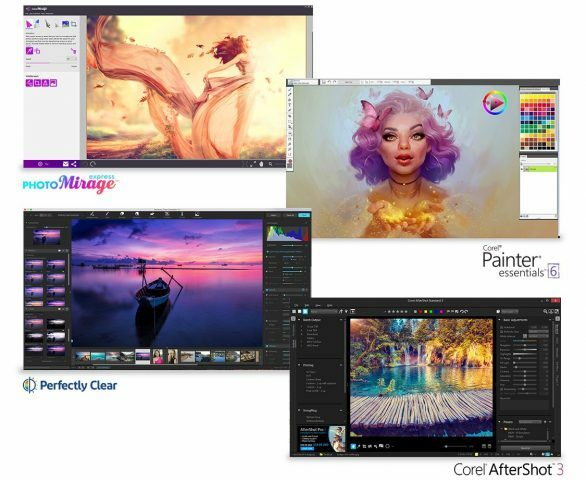 PaintShop Pro X9 is compatible with Windows Server 2016, making it the perfect fit for any organization in a virtualized environment—for photo editing, graphics creation, screen capture and annotation— whether you’re hosting locally or in the cloud. Contact our licensing team for more details. Innovative photo editing lives in PaintShop Pro! Edit XDM photos captured on an Intel RealSense-equipped tablet or camera in PaintShop Pro’s Adjust workspace. Save time and improve selection accuracy by applying effects to objects based on their distance from the camera. PaintShop Pro X9 adds support for 15 new cameras. Use Camera RAW Lab to quickly and easily convert and adjust any RAW image to reveal the vibrant colors, details and beauty within every shot. Instantly fill a selection or vector shape with text that automatically wraps within it. Create interesting design elements for web graphics, posters, scrapbooking, brochures, collages, and other projects. Edit pictures faster with content-aware editing tools. Move an object or background with Magic Move or erase an unwanted part of your image with Magic Fill. The empty area will automatically fill in to match the surrounding background. Accurate selections are essential in photo editing software. PaintShop Pro X9 lets you define a selection size by height and width, or with a fixed aspect ratio, for easier, more precise selections. Apply Lens Correction tools automatically within the Edit workspace or the Camera RAW Lab to quickly correct the distortions, vignetting and chromatic aberrations that are commonly introduced by most camera lenses. See each detail and appreciate the beauty of your photos when you pair your new photo editing software with a high resolution monitor. PaintShop Pro X9 is compatible with Ultra High DPI displays (up to 250% zoom with 4K resolution). Layers are essential for advanced image editing, compositing and graphic design. Search for layers by name to quickly find the one you need, merge selected layers, and easily expand or collapse layer groups. Instantly create a photo object by using text or a shape to clip an underlying photo or image. Then paste or drag it to any image as a layer. Work smarter and faster with extra tips and tricks from the award-winning Learning Center. This handy integrated reference guide offers step-by-step instructions and quick access to the right tools to help you get the most out of your photo editing software. Quickly add unique color gradients to your photos to simulate the effect of using different camera lens filters. A wide range of easy-to-use gradient controls allows for more creativity and experimentation. Keep track of what happened where by mapping your photos to real world locations using GPS data and Facebook check-in points. The Map mode also lets you geotag pictures and add locations using Google Maps, providing an intuitive and interactive way to view and organize your photos by location. Connect with loved ones and share your photos with the world using the built-in social media features of PaintShop Pro X9. Quickly and easily share your photos or photo creations to your Facebook, Flickr and Google+ accounts. The built-in Discovery Center makes it easier than ever to find the help you need. Choose from the library of helpful photo editing tutorials to develop your skills and become a better photographer and photo editor. Extend your photo editing software’s capabilities further with specialized third-party plugins. Support for 64-bit versions of third-party plugin tools and support for Adobe Photoshop plugins open up a world of creative possibilities. Whether you’re importing from your camera, scanner, the web or another photo editor, PaintShop Pro supports popular raster and vector file formats, including Adobe Photoshop .psd files. Output your files to a broad selection of image formats for easy sharing. Add creative effects to your photos in just seconds. Choose from a variety of preset effects which are organized into style categories such as Artistic, Film Styles, Black & White, and Landscape. Thumbnails make it easy to select the effect you want. Add text to any print, web or photo project with this photo editing software’s complete typography tools. Adjust fonts, size, style, alignment, leading/kerning and apply effects to get the creative text you desire.